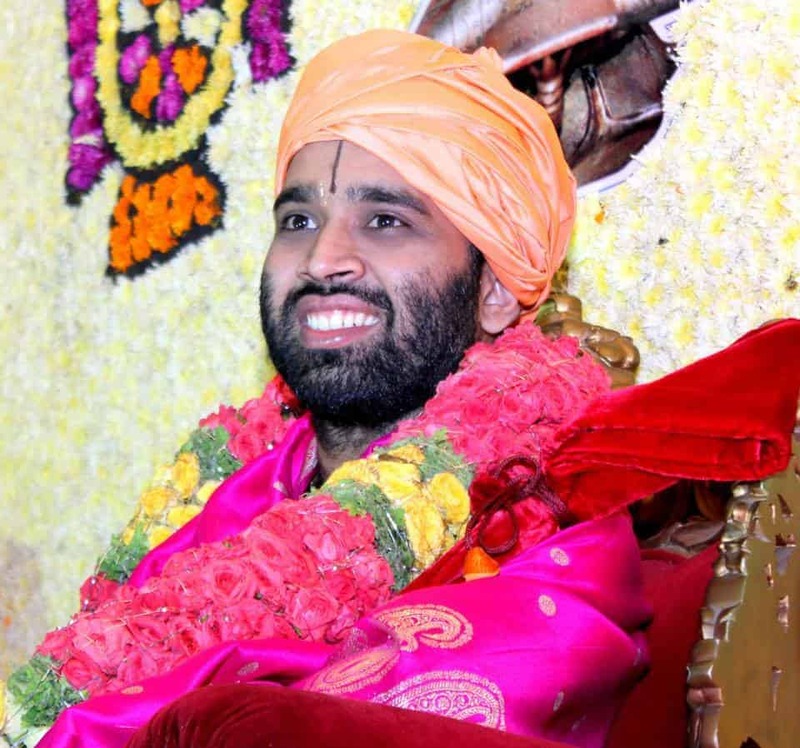 MUMBAI: Digvijay Shobhayatra Mahotsav of H.H Shrimath Samyamindra Thirtha Swamiji, Patta Shishya of H.H Shrimath Sudhindra Thirtha Swamiji (Mathadhipati of Shree Kashi Math Samsthan) was held with grandeur at Sri Sudhindra Nagar, Dahisar (E) Mumbai, on Sunday|October 26, 2014. The celebrations were held to mark the conclusion of the 13th Chaturmas Vrita of H.H Shishya Swamiji during Jaya Nama Samvatsar at Walkeshwar Shri Kashi Math. H.H Shishya Swamiji were accorded a grand reception with a traditional Poorna Kumbha Swagata at Dahisar Shri Kashi Math (DSKM) by the Vyavasthapak Samithi. H.H Shishya Swamijii had Darshana of Sri Vittal Rukmini at DSKM and Swamiji’s Pada Pooja was conducted on behalf of Samaj Bhandavs. This was followed by a grand procession which began from Gurudwara (New Link Road, Dahisar East) and concluded with a Mahasabha at GSB Gardens. Several Bhajana-Mandalis, folk band & dance troupes participated. Vibrant tableaux by various groups, depicting our culture and mythological scenes were worth watching. There were several religious and cultural programmes organised as a part of this event. Devotees from across the nation took part in the celebrations queued up to get a glimpse of H.H Shishya Swamiji. Disciples of Shree Matha received Srigandha Phala-Mantrakshate from H.H Shishya Swamiji. 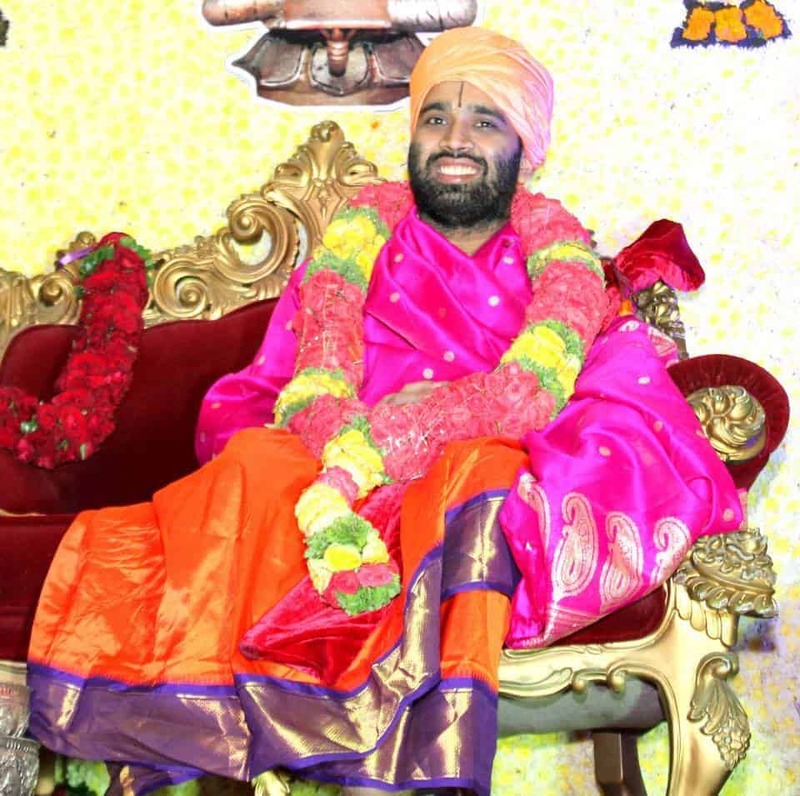 Devotees were blessed with Ashirvachan by H.H Shishya Swamiji in the Mahasabha. On this occasion, it was informed that the Navathi Mahotsav (90th Vardhanti/birthday) of H.H Shrimath Sudhindra Thirtha Swamiji (Mathadhipati of Shree Kashi Math Samsthan) would be celebrated at Shri Vyasashram of Haridwar Shri Kashi Math, from April 2-6, 2015 in the presence of Ubhaya Swamijis and also Vasanthotsava of Shree Samsthan will be held at Haridwar. Further details regarding Navathi Mahotsav will be published soon and also will be circulated at the respective temples of samaj.